Wine Cellars 101: Get Advice From Wine Cellar Experts in LA! What Do Wine Cellar Refrigeration Experts In Los Angeles Say You Should Do? Good wine cellars do not come cheap! Investing in an effective, top-notch wine cellar is something to seriously consider whether you’re a business which depends on selling wines, or a homeowner investing a considerable portion of a retirement fund into a wine collection! If you’re thinking “but what makes a top-notch wine cellar?” we’ve got the answers – straight from our wine cellar refrigeration experts. Here’s what they would emphasize. What Elements Make An Effective Wine Cellar Structure? Wines need to be stored in a temperature-controlled room. This can be achieved through proper insulation and the right vapor barrier. Remember, the longevity of your prized wines will depend greatly on the climate of the storage room. Make sure that you and your wine cellar are in the right hands. Wine cellar refrigeration experts will know what insulation to use depending on the location of the cellar. Better to go with the experienced craftsman than someone who promises you the lowest price. Refrigeration Experts recommend choosing wine racking which can be expanded. Businesses which sell wine need a lot of room for storage. Investing in an expandable wine racking system is a no-brainer according to wine cellar refrigeration experts. As your wine racks grow in number, your business sure seems to be expanding as well! The same goes for a home wine cellar. Few collectors acquire a set number of bottles and then stop! Room for more needs to be built in to the design. A high-quality wine cellar door is just as important as your insulation. This also contributes to the safety of your wine cellars, too. Double paned glass doors are recommended for both home and commercial wine rooms. Last but definitely not least on the experts list is the importance of an appropriate cooling system. Different types of wine cellars around Los Angeles vary in cooling requirements based on their proximity to hot or cold sources. 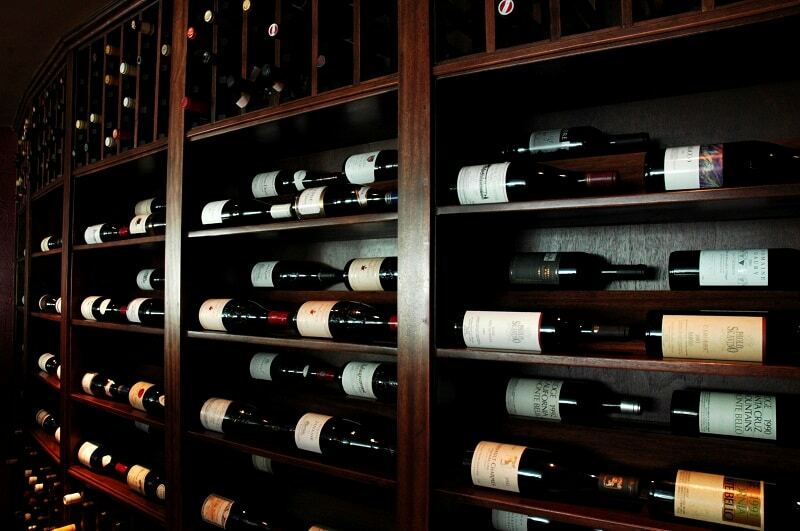 Seek the advice of a true refrigeration expert like M&M Cellar systems, to see what is best for your wine cellar. Thank you for visiting our site! Check back next week for information on Commercial vrs. Home Wine Cellars – and the all important topic of Why Wine Cellar Servicing Matters!